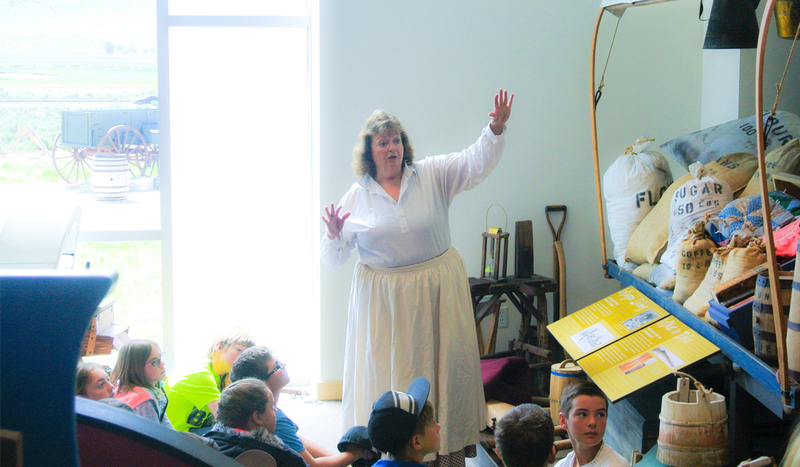 The California Trail Interpretive Center is excited to host your next field trip! Our free education programs follow Nevada Education and Common Core Standards. Staff-led programs are offered year-round Wednesday, Thursday, and Friday. Plan on a minimum of 1 1/2 hours for staff-led programs. In order to provide the best possible experience to students, group size is limited to 50 students (or 2 classrooms) per visit. Teacher Led Activities – These are on-site activities to supplement your field trip.